People who are concerned about their online privacy will often use a VPN, or Virtual Private Network, to reroute their IP address and make it appear that they are browsing from somewhere else. Blur, the only password manager that also protects your payments and privacy, is an ideal partner to a VPN service. Why? Because a VPN provides great privacy and security protection for your internet connection itself, and Blur provides great privacy and security protection for your data. Without a VPN, your Internet Service Provider, or ISP (e.g. Comcast or Verizon) can see a list of every website you visit over your Internet connection. This may be used for marketing purposes, or to sell the information to other businesses and advertisers. With a VPN, all they see is one site: the VPN provider. Without Blur, where you browse–even with a VPN connection–is visible by the sites you go to and the advertising networks that are connected with that site. It is true that they only see your “VPN IP address,” but they can also record your device, browser information and other characteristics of your setup. Blur blocks these trackers so they never know where you visited. Even with a VPN enabled, when you log into or shop at any websites with trackers, these sites will gain any personal information you give them. Using Blur combined with your VPN, you can choose to give the websites your real information if you want, or Masked information which is like a VPN for your data. You can use a Masked Email instead of your real email and it forwards emails to you — the company never gets your real email. You can use a Masked Phone number to forward calls to your real number without providing your real phone number. You can even create a one-time-use Masked Card with “fake” credit card numbers and any address and name you wish instead of entering your real credit card information. Not sure which VPN provider to use and what you get? We took care of it for you and compared the costs and features of top VPN providers, with and without Blur. In order to use Blur Masked Cards with a VPN, you will first need to pass security checks, or disable your VPN in order to make sure your payments are approved. Not only is this for your safety, to ensure that you are who you say you are, but this also helps to protect us against fraudulent transactions. Using a VPN is one great step towards your online privacy and security. Adding Blur can give you more complete online security by blocking trackers and allowing you to use Masked features instead of providing your real information. Here at Abine, we want to recommend VyprVPN from Golden Frog. VyprVPN is a fast, highly secure personal VPN that encrypts your Internet connection. VyprVPN has apps for all devices and platforms, including Android, iOS, Windows, Mac, TV and router. Unlike its competitors who use third parties to host their VPN servers, VyprVPN writes 100% of its software, manages its own network and owns the DNS and hardware, allowing them to deliver the fastest VPN speeds in the world without third parties. VyprVPN is always innovating, and its new Chameleon™ technology defeats VPN blocking by using the unmodified OpenVPN 256-bit protocol to scramble metadata and ensure it’s not recognizable via deep packet inspection (DPI). VyprVPN is currently offering 25% off its Pro annual plan to Blur users! You can redeem this offer here. VyprVPN is available across all devices and platforms. So if I’m understanding this correctly, a VPN’s main purpose is to protect you from your ISP… is that right? I suppose if that’s the case, as long as you don’t have a crooked ISP, you wouldn’t really need a VPN. But good luck finding an ISP that doesn’t fit that description nowadays… You got Comcast or TWC like 90% of the US population? Better get a VPN. Google Fiber can’t come to my area soon enough! That depends, if you are torrent downloader, then you probably need to get away from other threats as well as your ISP monitoring. That comes serious when you downloading from unofficial website like kAT, which is not longer available but there are many others still working. here ( https://www.beencrypted.com/vpn-encryption-guide/ ) are all the factors which you need to know about VPN Encryption. Does vpns in your list go from best to the worst? If not, which one is considered the best to use with blur? The author of this post seems to have simply grabbed a list of VPN’s they found on the top of Google. Companies like Vypr and IPVanish keep some form of logs as they are easily able to terminate accounts. And VPN’s like Avast and PrivateWifi are just absurd to promote as they are nothing more than corporate spam. Companies like PrivateWifi claim awards and all types of stuff, yet I’d imagine their VPN is terrible and it’s a fact that only tiny portion of the market uses them. Now I am all for small VPN companies rising over corporate competitors, but when companies like Vypr, Avast and PrivateWifi pay to appear in these lists it’s quite pathetic. Now companies like Private Internet Access and NordVPN are actually good. Other secure and actually qualified providers include LiquidVPN, AirVPN, CyberGhost & Cryptostorm. There are tons out there, but a lot less actually qualified and secure providers that really offer a VPN. Even more than we listed, those are just our top favorites. Is can orbot with Firefox serve as a VPN? This is the generator that can give you the tricks so that you got the iTunes code online here. Using a VPN in many countries can land you in jail. The US is slowly creeping in that direction. The UK is set to outlaw VPNs. What is wrong with Anonymizer? So, a year+ later, any updates? 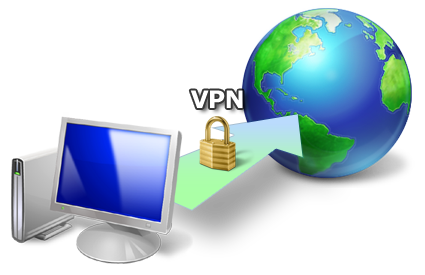 Virtual Private Network (VPN) guarantees perfect security and privacy.